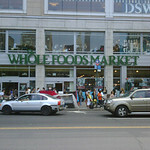 Directly south of Union Square Park, the mammoth Whole Foods Market provides prepared, imported and some local natural and organic food options. 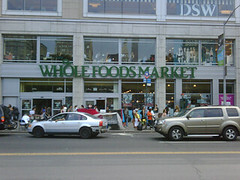 An enormous range of produce and packaged products, popular organic salad bar, body care products and vitamins are among this chain store's offerings. On Wednesday, 5-7, free tastings!